Gray hair for men knows no age. Well not anymore, at least. 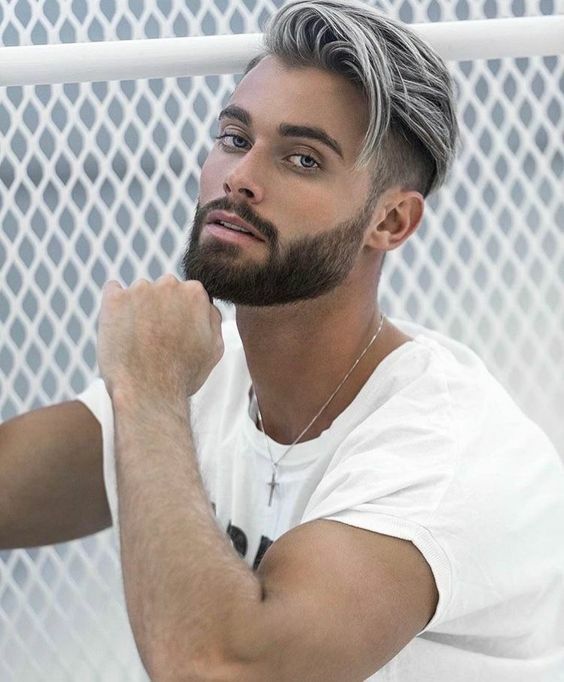 As a society, we've decorated the color as "gunmetal" and "smoky steel," stealing the spotlight from distinguished older gentlemen and placing it on millennials who change their hair color as often as they change their Insta' profile pictures. This trend started a few years back, breaking glass ceilings in the world of hair color. Since then, it has become normalized for men of all ages to rock shades of gray, whether they paid hundreds for it in a salon, or they let aging do all the work. The stark contrast between the Zayn Maliks and George Clooneys of the gray-haired world leaves us in a limbo wondering, will the fad last? Our answer in a word: yes. 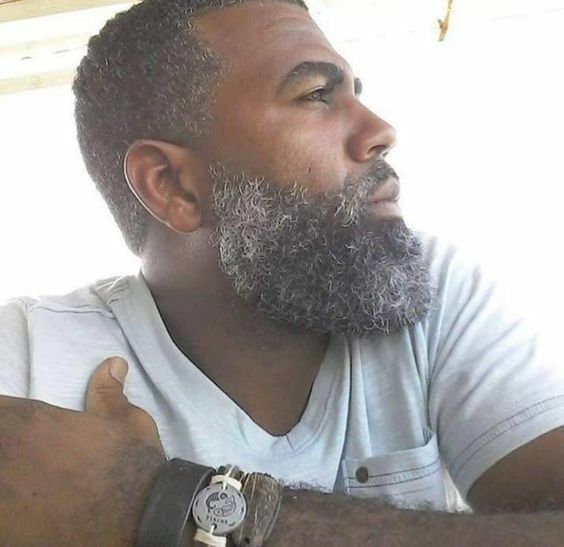 Natural gray hair for older men is timeless, but it won't always be fashion forward for a twenty-something to rock a gunmetal fade. As we roll out of the winter season, ashy colors and smoky shades will go head to head with natural colors, and only time will tell if the gray hair trend will lose its steam. But for now, we're in full support of gray locks for men in their twenties and men in their seventies, alike. Check out these 21 gray hair looks that are still going strong. 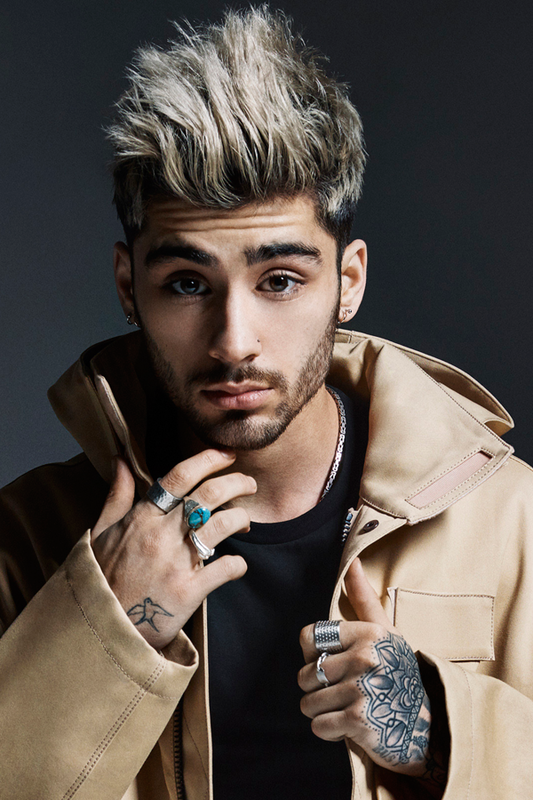 It's safe to say we forgot all about Zayn's boy band years when he chose to unveil this fashion-forward shade of silver. His head of hair has led thousands of millennials to follow suit. If you do not believe that George Clooney looks better now than he did with dark hair, Google it. You will see. If you're tired of the man bun, we're sorry (but not really). There are always ways to keep it alive with a high fade and intense color palette like this one. 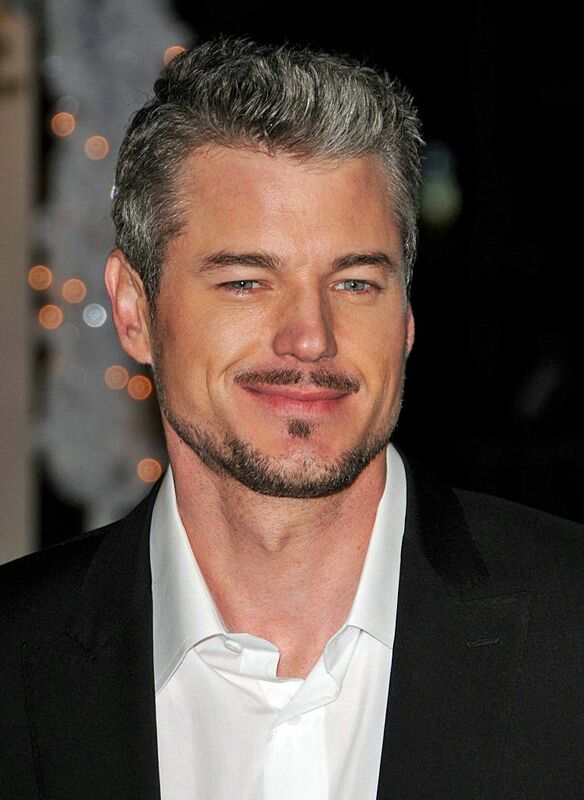 Honestly, we can't wait until Eric Dane lets his bleached out mane grow back to this shade of silver. Crossing our fingers it's just a post-divorce phase. 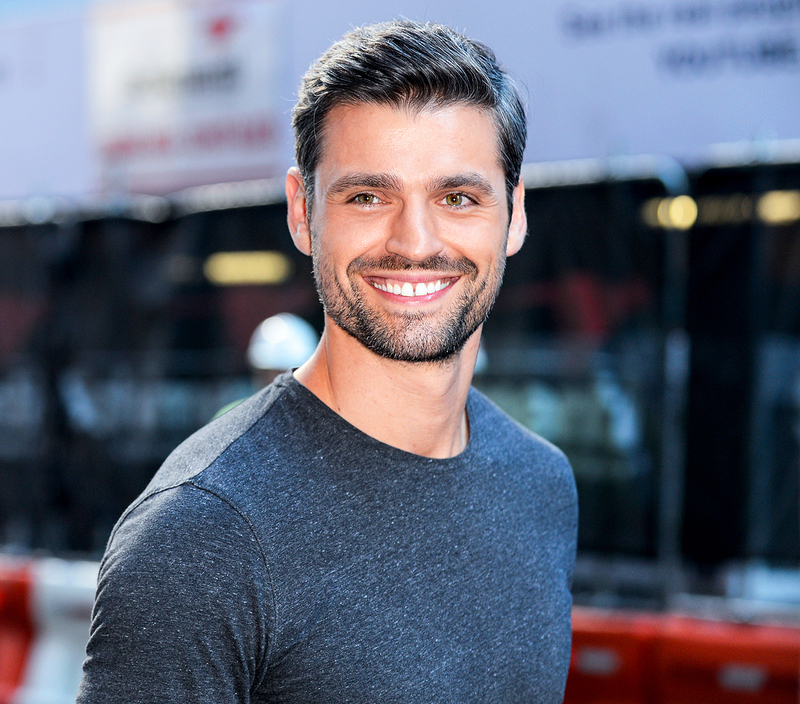 Ladies swoon over Bachelorette's Peter Kraus and his steel set of locks. It adds to his already apparent charm and good looks. 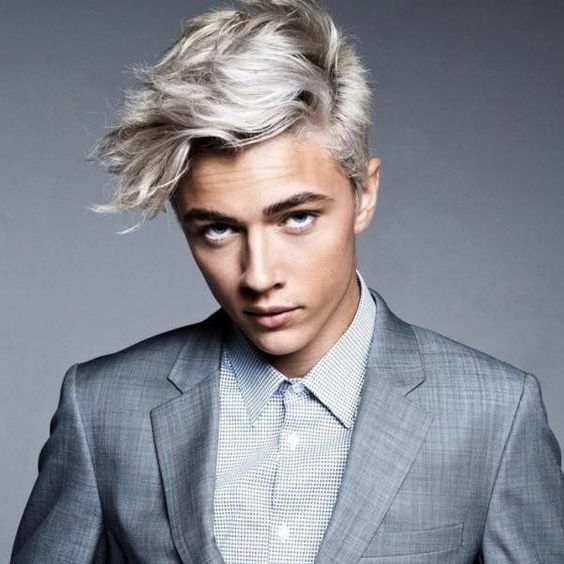 We may not know who he is, but this gentleman served as some serious silver-hair inspiration for us. Icy platinum that is toned silver looks chic and super modern. Going gray is like ripping a band-aid off. You don't want it to be a slow, splotchy, and painful process -- although, that happens more often than not. This man with his flawlessly blended gray, however, is blessed. All over Pinterest, you see long locks and silver hair as a packaged deal. It's refreshing to see this clean, dapper cut look just as good. Something tells us this guy has a closet full of shoes. There is not a hair out of place on his head (or his face), and this shade of silver is almost too perfect. The pompadour is a style that keeps coming back over the years. The height of the hair commands attention, and rightfully so. This gentleman's eyes say it all, and what we think they're saying is "the grayer the better, right?" Adam Levine made this high contrast look famous, but guys like this keep its legacy going strong. 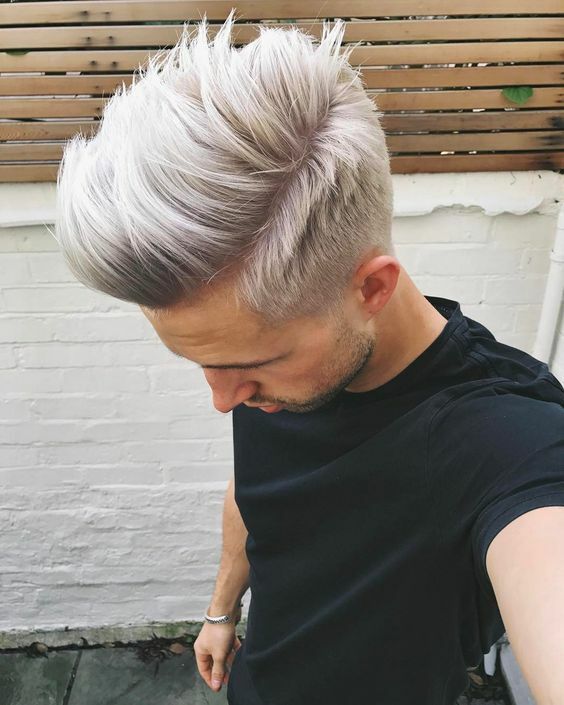 Dying your hair with cool tones will give the effect of the fashionable silver hue without fully jumping on the silver fox bandwagon. Enjoy this sweet spot -- when grays are just peaking through. 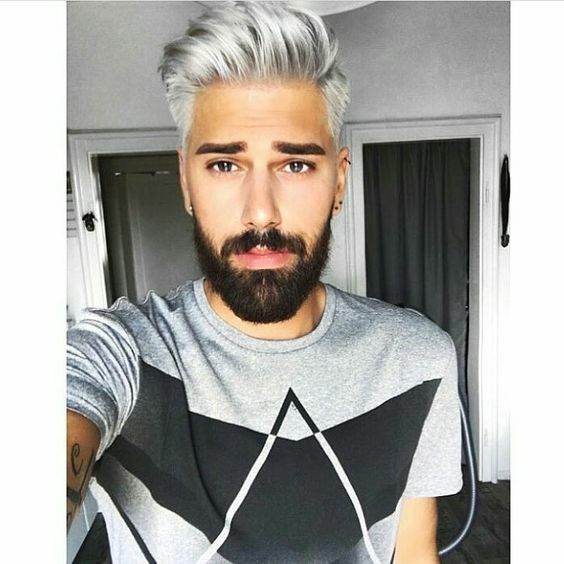 People pay to get hair this white, so consider it a blessing if yours is this handsome shade of silver. This platinum was toned silver and is the epitome of a youngin' sporting the silver fox look. A cropped cut and longer beard confidently show off budding silver hairs. We do not know the secret behind it, but silver hair can keep you looking young. Maybe it's the gauges and tattoos, but don't tell anyone. If you notice more white patches in your beard than on your head, stop panicking, show it off, and join the club of silver foxes. When your hair, eyebrows, mustache, and beard are all different colors, what do you do? Get over it, get another tattoo, and call it a day. Remember gentleman, it's a beautiful day to go gray. But, we know it's not for everyone, so if you're not quite ready for it yet, we have other hair color options for you.